One of London’s most heated rivalries plays out its next instalment as Arsenal seek to respond to the ongoing lift in form by the chasing Manchester United, while Chelsea intends to keep up their hopes of pulling off a title charge typical of a disruptive outsider having fallen off the midseason pace for the league race. Both these sides have held home ground advantage for some time, ensuring at least a draw at their home ground in either fixture against each other. The last 7 matches at either the Emirates Stadium or Stamford Bridge has seen 3 draws and 4 wins for the home side involved. The last victory between these sides that wasn’t earned by the home side was the back to back wins at Wembley for Arsenal in the Community Shield and FA Cup final of 2017. The last win for an away side at either the Emirates Stadium or Stamford Bridge was Chelsea’s 1-0 at the Emirates in January 2016, also representing the last victory for the Blues at Arsenal’s ground. Arsenal have the 3rd best home record in the league based on total points (26 off 11 matches); the Gunners are also unbeaten in their last 10 matches at the Emirates, having won 4 in a row. Only 4 sides – Manchester City, Liverpool, Wolves and Huddersfield – have restricted Arsenal to scoring 1 goal or less at home. Chelsea have the 3rd best away record in the league based on total points (22 off 10 matches); the Blues have won 3 in a row away from home. Only 1 side – West Ham – managed to prevent Chelsea from scoring away from home. Arsenal have scored 71% of their league goals thus far in the 2nd half of matches, with nearly a third of all goals arriving in the final 15 minutes. Chelsea have scored 62% of their league goals thus far in the 2nd half of matches, with nearly a third of all goals arriving in the final 15 minutes. Eden Hazard has scored 5 goals in 17 matches against Arsenal. Pedro has only 1 goal in 12 matches against Arsenal. Pierre Emerick Aubameyang has never scored against Chelsea, but has also only played them once. Alexandre Lacazette has never scored against Chelsea in 6 appearances. Both sides enter the match after a week’s break from the league matches last weekend. Arsenal remain without Rob Holding, Danny Welbeck due to long term injuries, while Henrikh Mkhitaryan is on the sidelines until February. Apart from youngster Ruben Loftus-Cheek, Chelsea have no major injury concerns to their first team players for the matchup against the Gunners. Unai Emery’s choices in recent matches haven’t been completely rewarded as the team’s form hasn’t shown anything resembling consistency. Following a brief stint in the team, Mesut Ozil appears to have once again hit a wilderness in selection. Questions over creativity remain prevalent when tested with teams more capable of frustrating the front 3 of Lacazette, Aubameyang and Iwobi (as West Ham showed recently) and inconsistent showings by experienced players like Xhaka and Mustafi have also left Emery short of both the performances and the results needed to close the gap on the Blues. That said, it’s not been all bad news; when Arsenal do get the performances right, more often than not, goals follow, especially at home. Only Manchester City and Spurs (in the League Cup) have managed to leave the Emirates with a win, and the recent defeat to their North London rivals was Arsenal’s only blemish amidst 12 wins and 3 draws in their last 16 home games in all competitions. Considering that Emery will likely favour back to 4231 after the 3421 used against West Ham delivered inadequate creativity, the back 5 should take on a more preferential look with Leno supported by Kolasinac at left back, Lichsteiner at right back, and a centre back pairing of Sokratis and Koscielny. Lucas Torreira and Granit Xhaka should resume duties in the midfield double pivot. Iwobi, Ramsey and Aubameyang should once again make up the attacking midfield trio behind Alexandre Lacazette at centre forward. 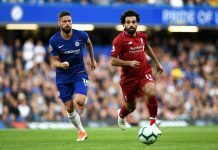 Crucial defeats to Spurs, Wolves and Leicester took the wind out of Chelsea’s sails for a title challenge, but Sarri’s side are still a difficult side to beat nonetheless. 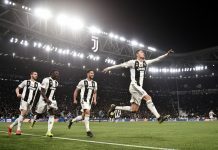 The failings of the Blues fall onto specific players whose form has failed the Italian’s tactical choices; David Luiz, Kovacic, Morata and Willian have all come under scrutiny at various points since the run of mixed results started, and the impression is clear that Chelsea’s talent pool lacks the depth and consistency needed to mount a viable title charge. That said, Sarri’s side hold a reasonable lead over the chasing pack for top 4, and a defeat to Arsenal would go some way to undermining that, making it imperative for them to get a good result against the Gunners. With injuries once again not a major issue, Sarri’s 433 should once again feature his first choice XI. The backline of Kepa, Azpilicueta, Rudiger, Luiz and Alonso are expected to retain their places in defence. Jorginho, and Kante should start in midfield, but a consideration could be made for Barkley to start again instead of Kovacic given the latter’s tepid showing in Chelsea’s recent win over Newcastle. Eden Hazard should continue to lead the line flanked by wide forwards Willian and Pedro. Emery and Sarri both have had some less than desirable results of late, albeit the latter less so; but the Italian’s team feels substantially less at the mercy of inherent issues of tactical incongruence with the players selected. Chelsea haven’t had any favours done to them by their lack of goal output outside of Hazard and Pedro, but they’ve compensated reasonably well with a solid backline and midfield, and their defeats, while disappointing, didn’t appear on the surface to be systemic failures or questions of overall quality on the pitch. Arsenal have bigger challenges in this respect. 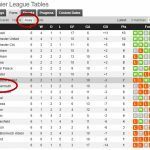 Emery’s team have played entertaining, attacking football at times, but the question of effectiveness against his key top 6 rivals remain; league defeats to Chelsea, Manchester City and Liverpool undermined the win over Spurs, and the questions raised over the Spaniard’s inability to find a way to get Mesut Ozil into the side to contribute are both valid and important. Their record at home is favourable and suggests at the least that a score draw is both realistic and likely against Chelsea, but where Sarri’s poor results appear partially surprising and unusual, Emery’s poor results appear to be failings of design and quality. To that end, Chelsea’s opportunity to end the away win drought at the Emirates is especially poignant at this point; the match is not only a crucial 6 pointer to keep distance from Arsenal and Manchester United in the chase for top 4, but is also a chance to pressure Spurs to maintain their good form without the recently injured Harry Kane. Add into the mix Chelsea’s superior backline, equally combative midfield and highly creative forward trio, and it’s hard to see how the Blues don’t steal the 3 points, let alone avoid defeat.